This past Easter weekend marked my (more than possibly) final trip while in Malta and I have to say it was a great one. I got to visit a country I have been dying to visit and am eager to one day (hopefully soon) return to, to see more of it. 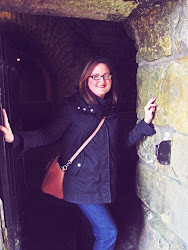 I got to spend my Easter weekend in Edinburgh, Scotland! Edinburgh welcomed me with blue skies and sunshine, a rarity in those parts. The weekend was completely dry, say for a few minor flurries but the air was crisp, the sun was out and the skies were clear. I had the privilege of staying in a flat with Melissa and her childhood friend. His parents own a flat in Edinburgh and were kind enough to share their beautiful home with us. It is in the heart of the New town, within walking distance to all there is to see and was, simply put...lovely. Melissa's friend proved to be a great host and really just an overall down-to-earth, sweet and funny guy so basically we spent Easter in an amazing city with great company. I'd call that a win. Edinburgh is very much a walking city and it was nice to take in the sites on foot...and to have our own personal tour guide to boot. We got to see the New and Old Town, Edinburgh Castle, Hollyrood House, the Royal Mile...and just to see beautiful snow-capped hills among this very metropolitan city was breathtaking. The people are the friendliest I've ever encountered in my travels from the older couple (especially the wife) I met while on the plane ride to Edinburgh who couldn't stop talking about Malta and calling my attention to the window to see snow-capped mountains and telling me what I needed to see/do in Edinburgh, to the sweet lady who stopped her bike to help us with directions, to the friendly, and very talented, artist who wouldn't stop chatting us up at a local market...all warm, welcoming and friendly people helping to make Edinburgh feel like home. It was a great way to cap off this final run before I head back to the states. We enjoyed some much missed Starbucks, Thai food and even tried Haggis for the first time...I can actually say I like it...go figure! Not necessarily fond of the idea of what I was eating but it sure was tasty;-)! I got to spend my time doing some critical shopping, walking around Edinburgh Castle feeling as if I was in an episode of Game of Thrones, walking the Royal Mile seeing the tourist sites and chatting with Braveheart himself (no not Mel Gibson just someone who is a very entertaining version of Braveheart) and at St. Andrew's, walking around what is a lovely little town, taking in the beautiful scenery while visiting the sites that included the coffee shop that had a banner that read, and I quote “Where William and Kate first met...(for coffee)" needless to say, while passing by I saw that the place was crowded and I, for some reason found this hilarious. Having booked this trip so far in advance, it reminded me just how fast time has flown by and how important it is to savor every moment. With the little time I have left in Malta I know what I should do or rather what I need to do to complete this experience. 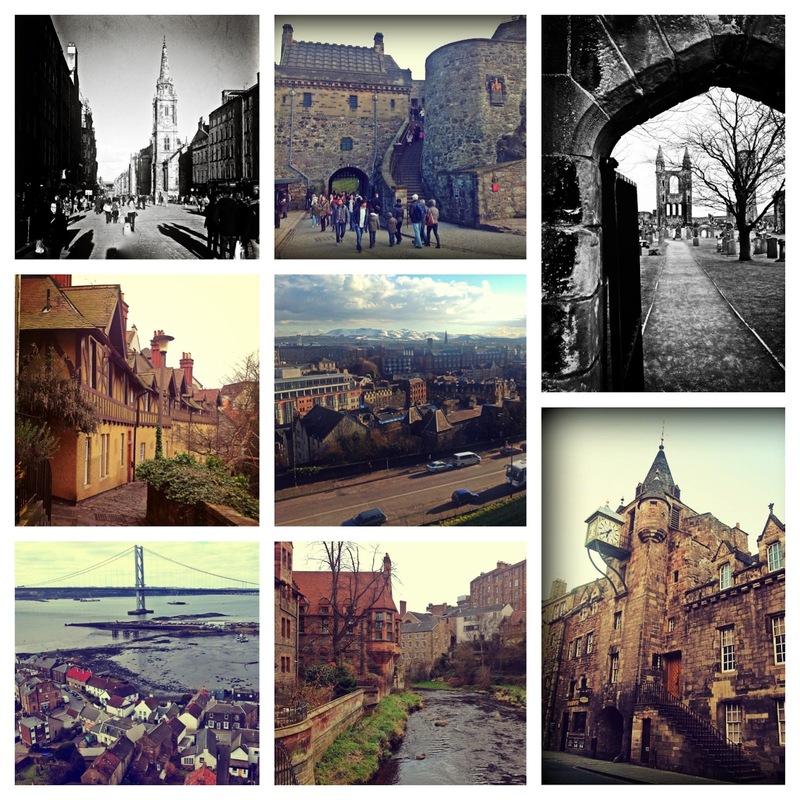 So, should this be my last hurrah before home, I will say my time in Edinburgh was spent just how I like it, seeing some sites, taking in the city and the bonus...staying in a home were I had the privilege to cook home cooked meals, baked goods and Easter dinner! There is lots to look forward to that I know will make this time go by even faster such as my friends visiting at the end of May, beach days, Gozo/Comino trips, more hilarious student moments and the ever-loving job hunt. So all I will say to that is Carpe Diem (no YOLO here, I choose to keep it old school).